On January 9, 2019, AMD CEO and President Dr. Lisa Su presented a CES 2019 Keynote. During the keynote, she demonstrated a new desktop processor, (at 1:25:00 in the video). 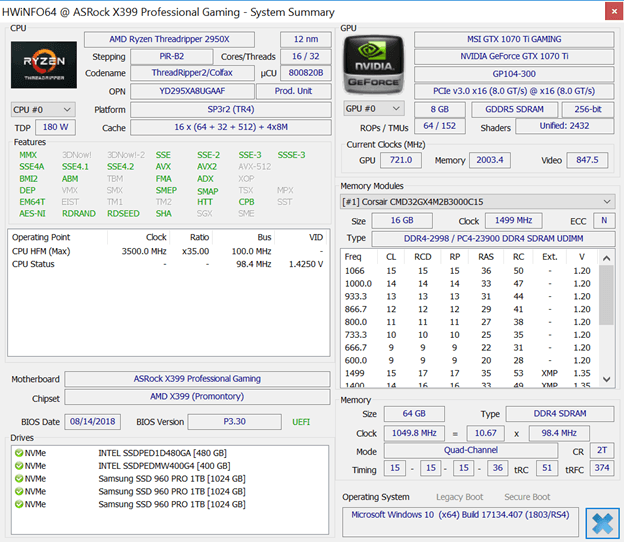 This was a 7nm, 8C/16T, 3rd Generation AMD Ryzen 3000 series “Matisse” desktop processor running the Cinebench R15 Multithreaded (MT) benchmark vs. a 14nm, 8C/16T Intel Core i9-9900K “Coffee Lake” desktop processor. These two systems were as identical as possible (outside of the motherboard and processor), meaning identical 2666MHz memory, video card, and storage. The Intel system was running at stock clock speeds vs. an engineering sample Ryzen running at lower than final clock speeds. 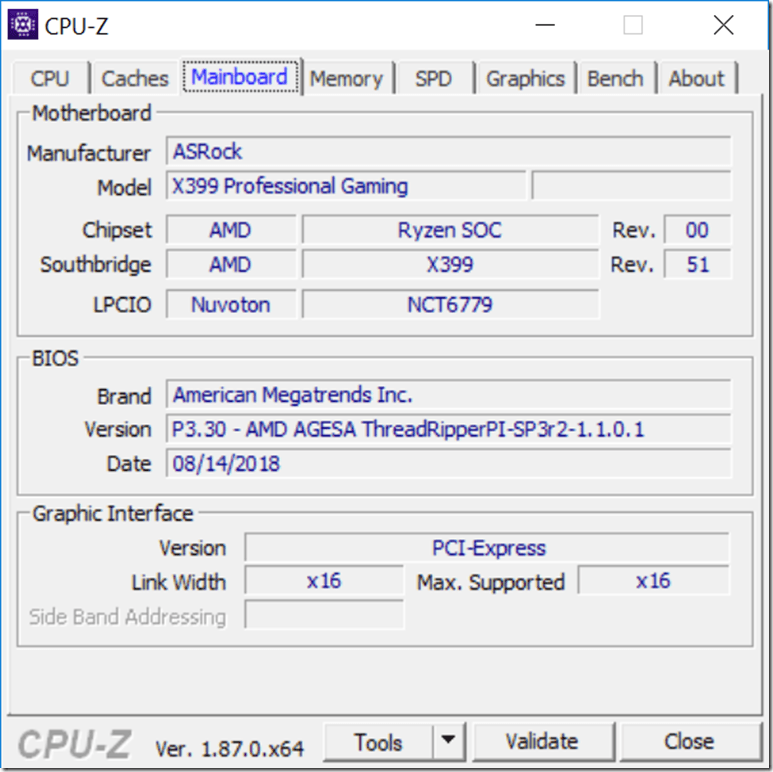 The Cinebench MT score for Intel was 2040, while the Cinebench MT score for the AMD Ryzen 2 was 2057. The Intel system was using 179.8 watts, while the AMD system was using 133.4 watts during benchmark. This benchmark pegs all of the cores in the system, so this is extremely significant! Dr. Su held up one of these Ryzen 2 processors, showing a 14nm I/O die on the left and the 7nm 8C/16T Zen 2 processor die on the top right. It was pretty obvious that there was room on the package for another identical Zen 2 processor die on the bottom right. During interviews over the next couple of days, Dr. Su basically confirmed that the Zen 2 family had room for an extra processor die and that we should expect a higher core count SKU. AMD purposely used an eight core CPU for the demo so that they would have the same core count as Intel’s current top of the line processor. 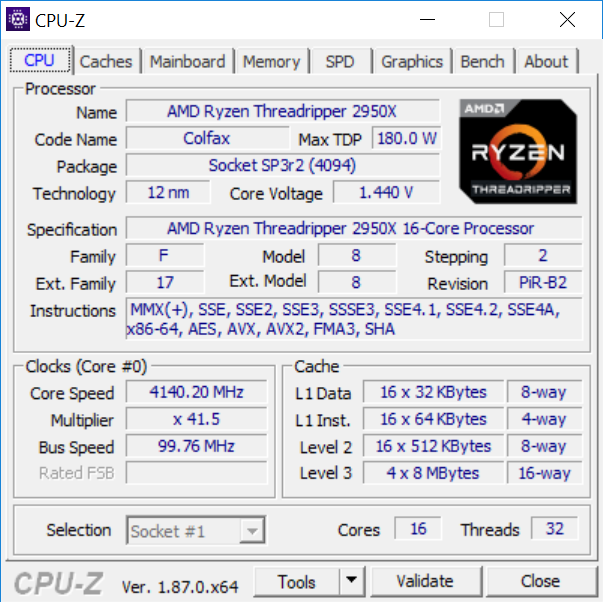 It appears that what AMD demonstrated was actually a mid-range Ryzen 5 class SKU, running with artificially slow memory, at a non-final lower clock speed that still had a slightly higher Cinebench MT score (with the same core/thread count) as the current best mainstream desktop processor that Intel has available. Since the core/thread counts were the same between the two systems, this means that the single-threaded performance should be about the same. 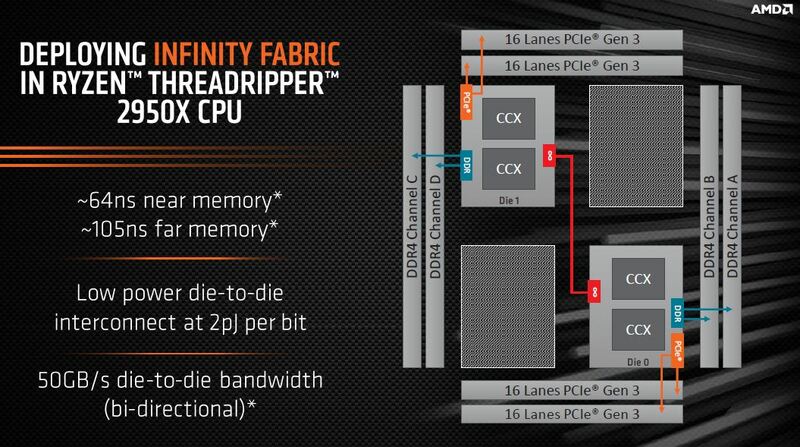 If this is true, then this would be the first time in an extremely long time where AMD has better single-threaded performance than Intel. The final version of these Zen 2 processors should perform even better than this early sample. You may be wondering what this has to do with server processors and with SQL Server. It turns out that the upcoming 7nm AMD EPYC “Rome” processors use the same Zen 2 architecture and 7nm manufacturing process as these Zen 2 mainstream desktop processors. If the 7nm AMD EYPC Rome processors end up having better single-threaded performance than the upcoming 14nm Intel Cascade Lake-SP processors (which I think is pretty likely), then AMD is going to be extremely competitive in the server market and for SQL Server usage. This is especially true if you consider AMD’s advantage in memory density, PCIe lanes (which will be Gen 4.0) and hardware cost. Dr. Su actually did a demonstration of a one-socket AMD EPYC Rome system vs. a two-socket Intel Xeon 8180 system, showing the AMD system winning. Both the desktop Ryzen 2 and the server EPYC Rome processors are due to be released in mid-2019. AdoredTV has their analysis here, while UFD Tech has their analysis here. Anandtech has a good writeup here. With the start of a new year, this seems like a good time to do some maintenance and updates on the computers and related technology items and devices in your home. If possible, you should also do this in the homes of your immediate relatives and friends. Many devices do a pretty decent job of automatically pulling down and installing updates by themselves (or they can be configured to do so). Despite this, you probably have a number of devices that need some attention and help. 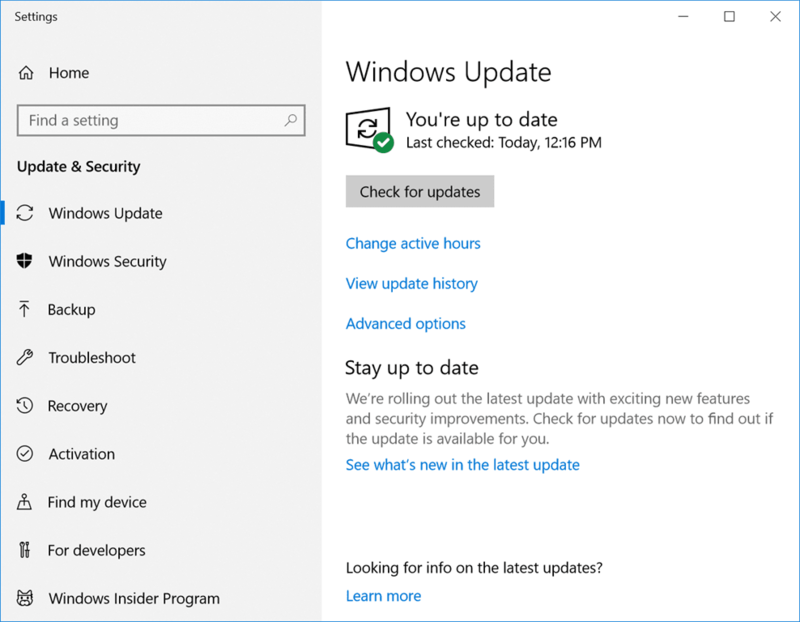 These might include your various computers, wireless router, NAS, printers, home automation and AV gear, etc..
For Windows-based computers that are owned/managed by individuals, you should manually check for updates by clicking the “Check for Updates” button. 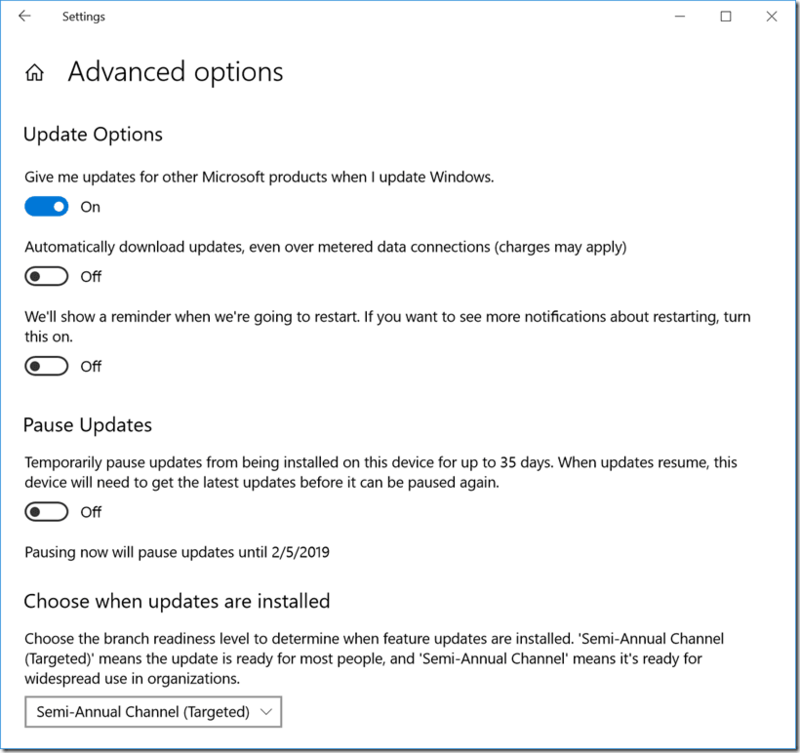 You should also make sure that the “Give me updates for other Microsoft products when I update Windows” option is enabled, under Advanced options. This will give you updates for things like Microsoft Office. 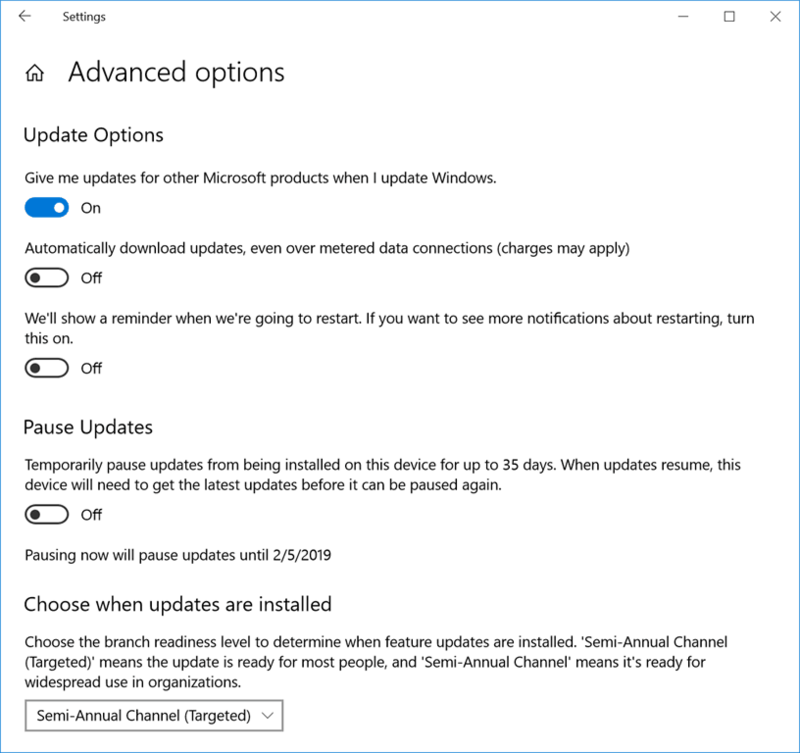 This is important to do even if the machine is supposed to automatically check for updates, since many people (especially non-computer savvy people) don’t ever manually check for updates. Many people do not leave their machines running for extended periods, so it is very common to find them woefully out of date. 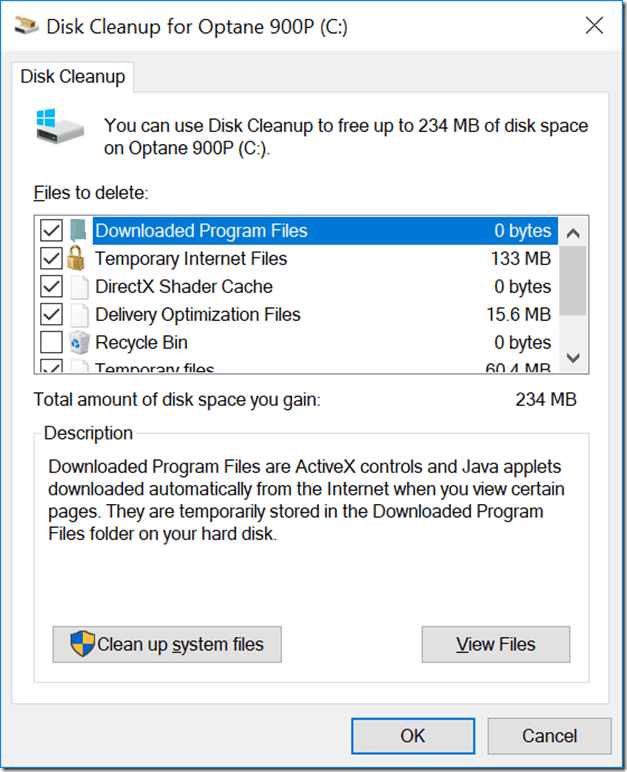 It is also a good idea to run Windows Disk Cleanup, and click on the “Clean up system files” button. 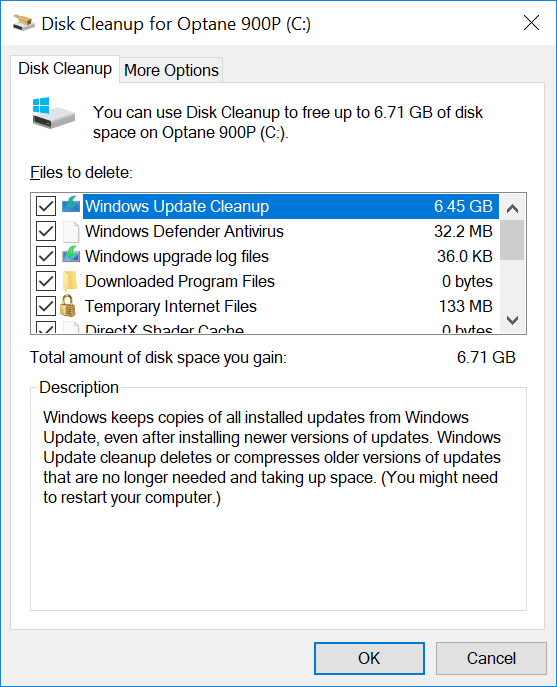 This will give you the option of cleaning up Windows Update files and even removing previous versions of Windows (in Windows 10), meaning previous semi-annual update versions. 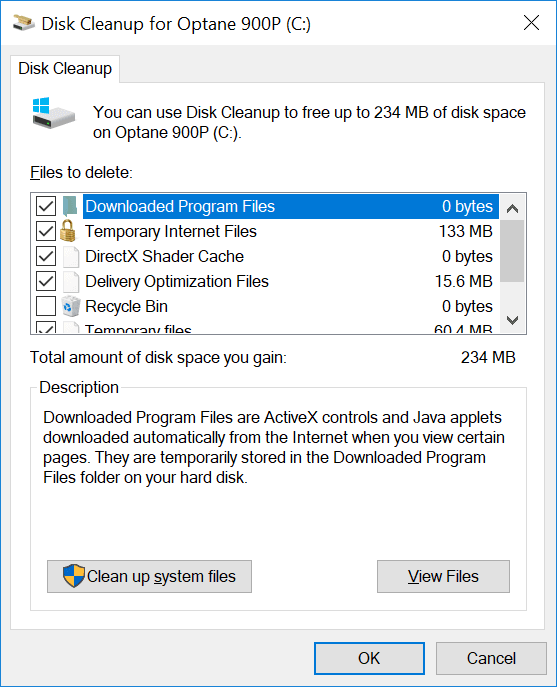 Removing those old versions can often free up 20-40GB of disk space, although you won’t be able to rollback to the old versions anymore. 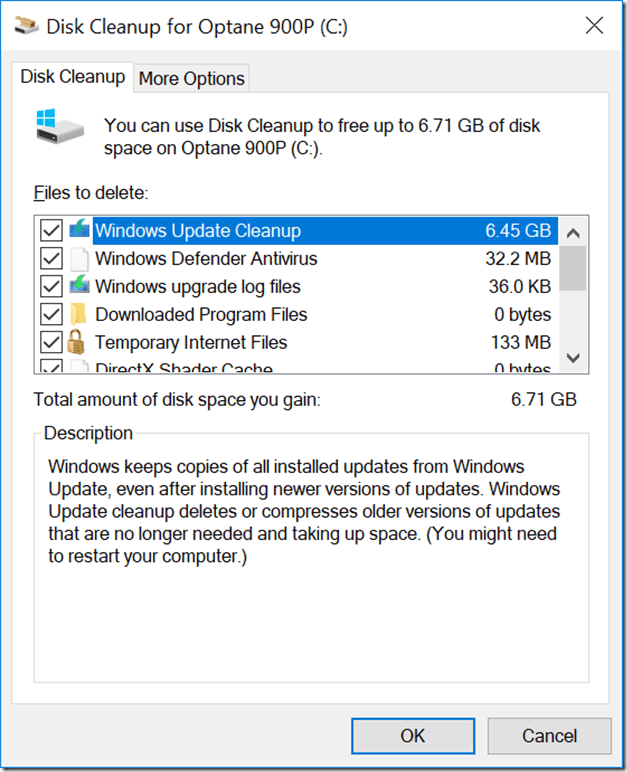 Be warned that running disk cleanup can take quite a bit of time, even with a fast SSD. After getting Windows updated and running Disk Cleanup, you should make an effort to see if there are any BIOS/firmware or driver updates for each device. Most large hardware vendors have utilities that you can use to automatically look for any updates, and then download and install the updates. You may have to go to the vendor’s support site to download and install the utility (or update an old version of the utility), but once you have done that, getting the latest updates is usually pretty easy. If the machine was built from parts or is not from a major vendor, you will probably need to do some research and manual updating, once you figure out what you are dealing with. A couple of good tools to identify the components in a strange computer are CPU-Z and HWiNFO64, which you can have on a USB thumb drive. These will let you identify the motherboard model and BIOS version, along with many other components, such as video cards and storage devices. 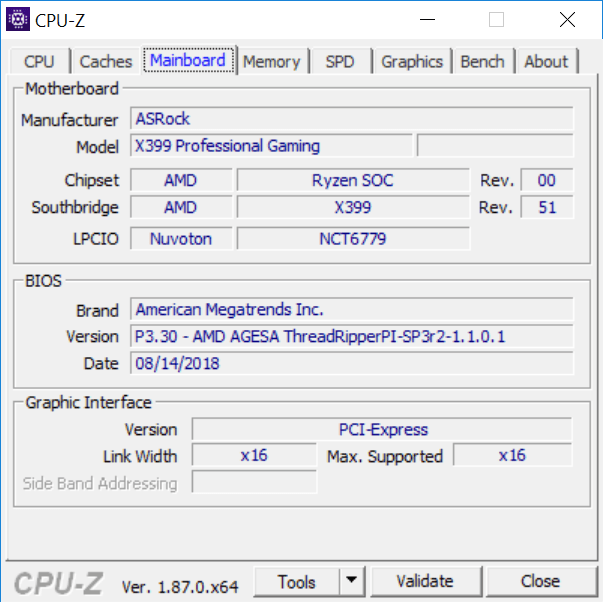 Most motherboard vendors also have utilities that can be used to check for and install the latest updates for that motherboard. Many individual components in a system may require updates, such as video cards and storage devices. Once you know what components you are dealing with, you should be able to go to the vendor’s support site and either use a utility to check for and install updates, or simply manually do it yourself. For example, Samsung and Intel have utilities to maintain and update their storage devices and NVidia and AMD have utilities to maintain and update their video cards. 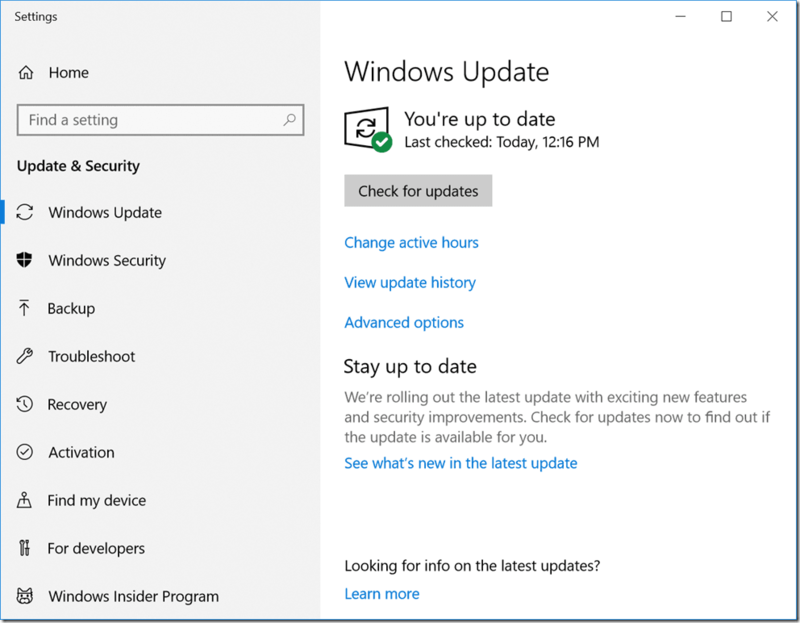 After you have updated all of your computers, you should try to update all your other updateable devices as much as you can. I’m talking about things like routers, managed network switches, printers, home automation gear, AV components and the like. Many devices will have a web interface or downloadable utility program that you can use to check for and install firmware and software updates. Often they will have a built-in method for checking for updates, buried somewhere in the setup or configuration interface. You should make the effort to find whatever method is necessary, and then check for and install updates. Here are some links for some of the more common brands and devices you may run into. Perhaps you are wondering why you should go to this trouble, for yourself and for your family and friends? The main reason is that it will make their devices be more secure and work better. It will also make it a little more difficult for bad things like viruses, trojans, and worms to spread so quickly in the wild. Since you are likely in the technology field if you are reading this, your friends and family probably rely on you (at least to a certain extent) for their computer and technology support. For example, if you are a DBA, that means you are “in computers”. That means you must know everything there is to know about desktop and network support, right?